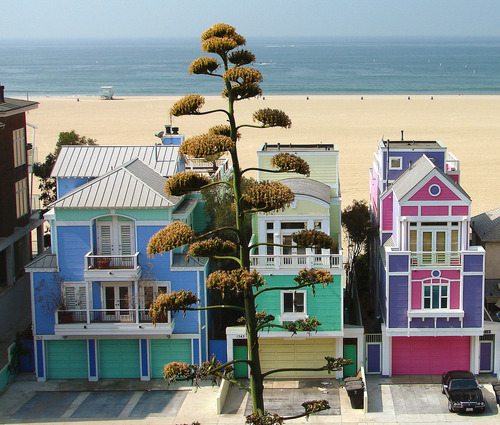 Beach houses, Santa Monica. This photo was taken from the bluffs; found it on panormio.com. 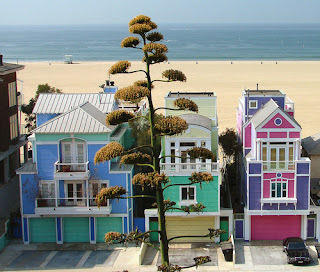 I've always loved the colors, although - unfortunately - I think at least one of them has been repainted black (what in the world?). Short blog post today: we've got friends coming up from Los Angeles today, meeting them at Pismo Beach here on the Central Coast. For those of you in Los Angeles, enjoy one of the last weekends of the summer.